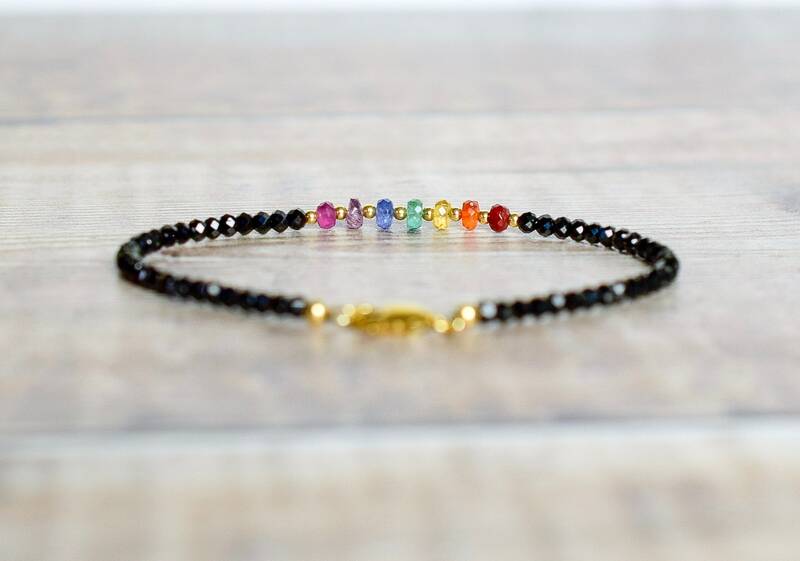 A beautiful Chakra style bracelet designed with high quality natural gemstone beads. 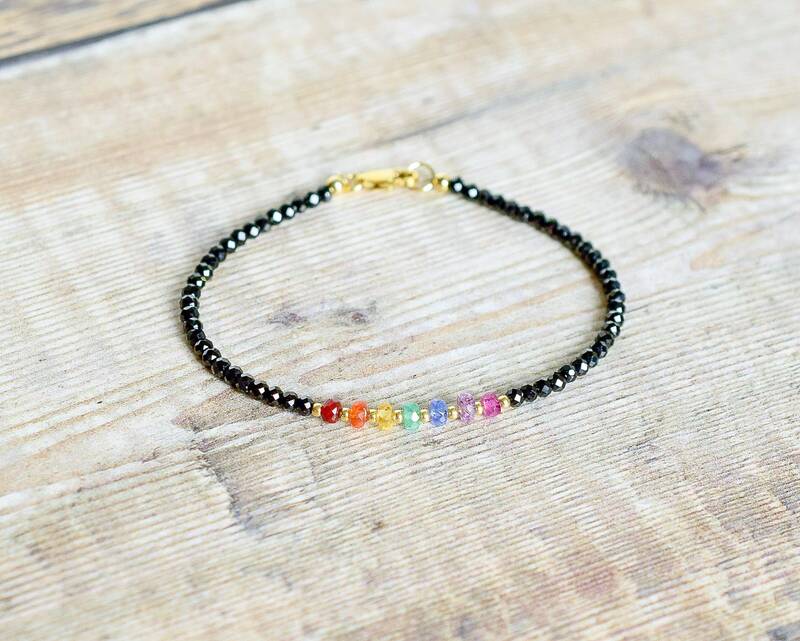 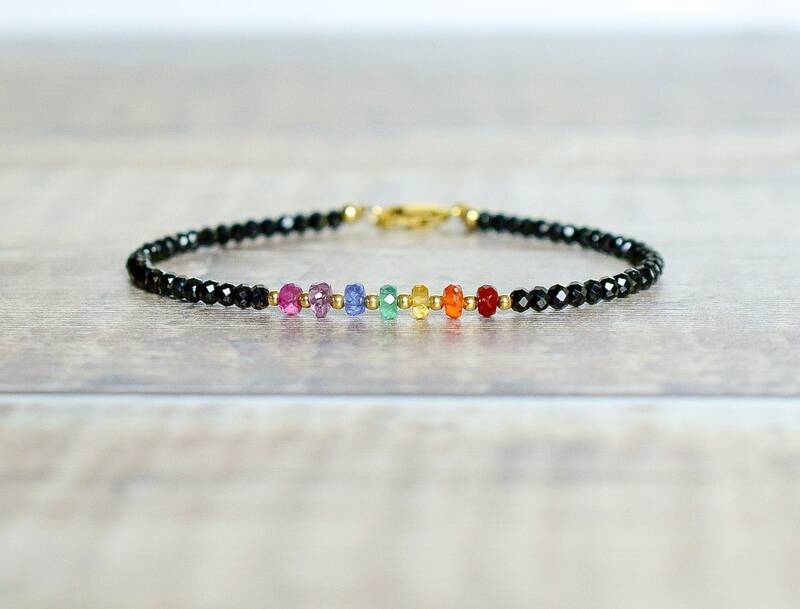 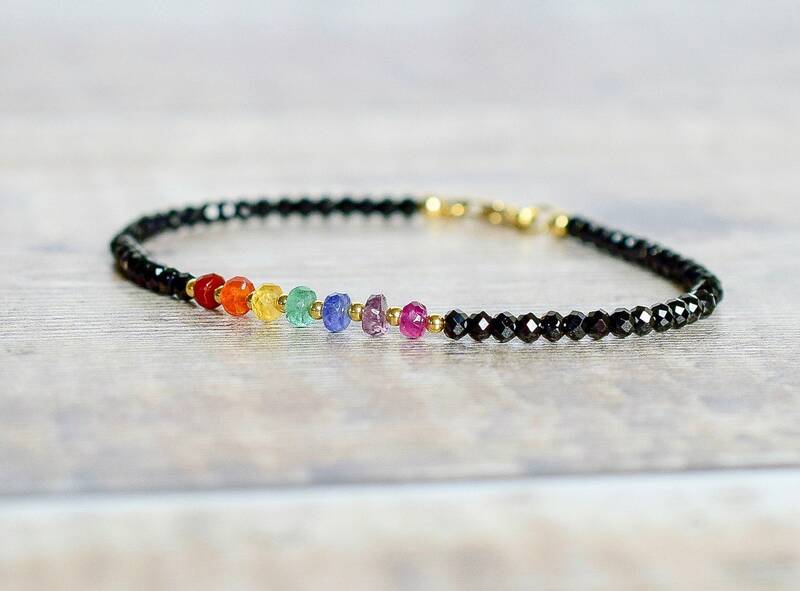 Made with with dazzling Black Spinel beads, the bracelet features a central section of colourful Gemstones arranged in the colours of the rainbow, each separated by a tiny 14k gold filled bead. 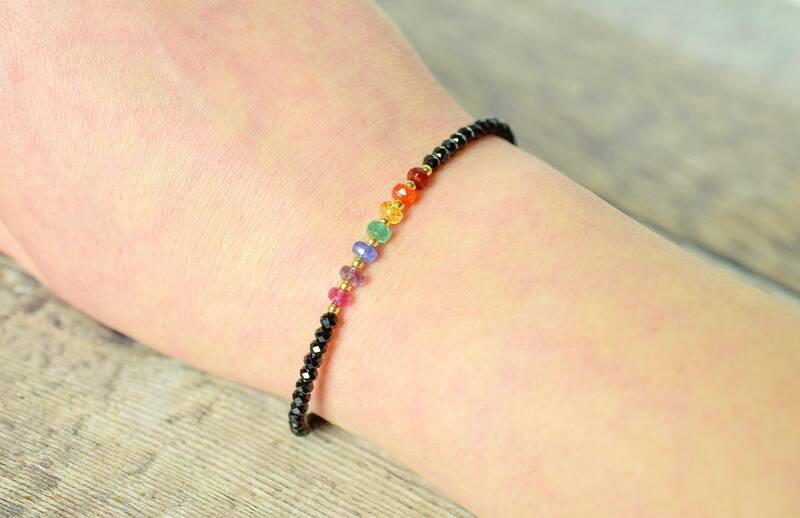 Indigo & Violet are represented by Purple Spinel & Pink Tourmaline respectively. 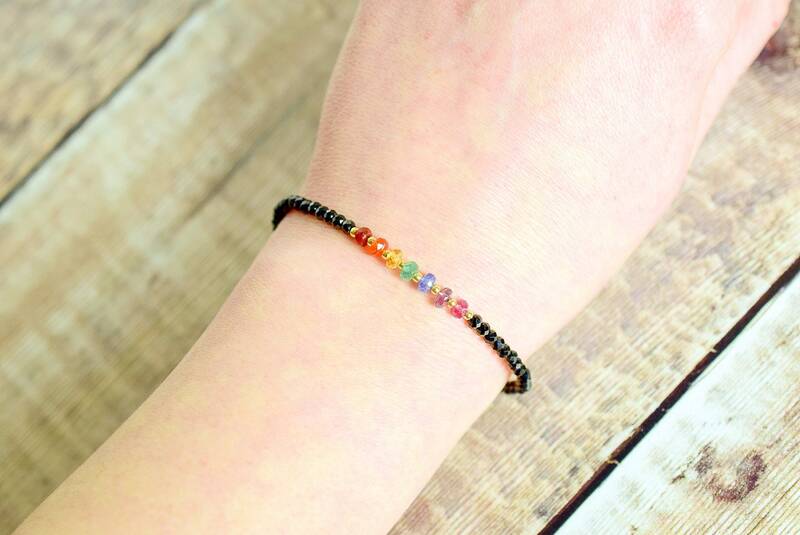 ✨ Fire Opals are said to stimulate the Base and Sacral Chakras, activate one’s chi, and help those who wear them to become more optimistic, socially outgoing and confident. 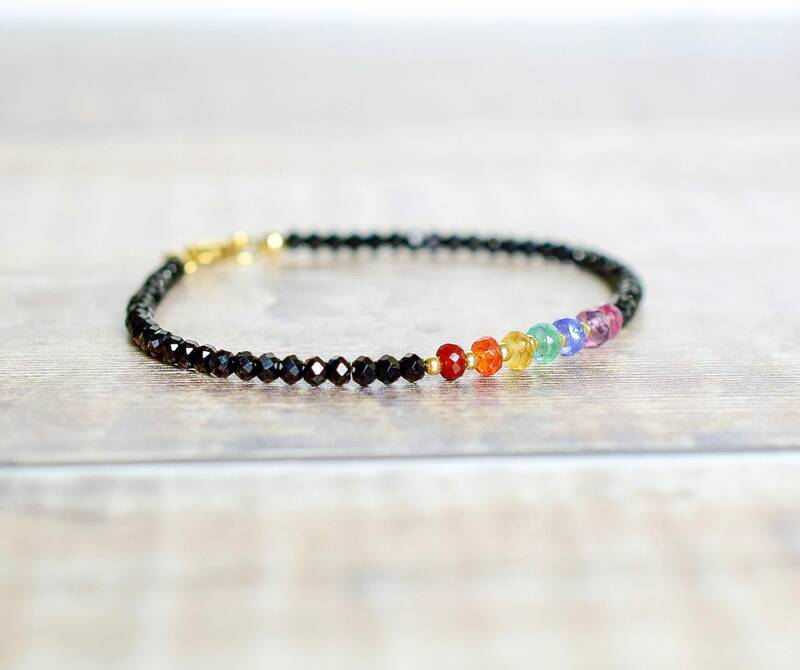 energy flow between the lower and upper chakras. 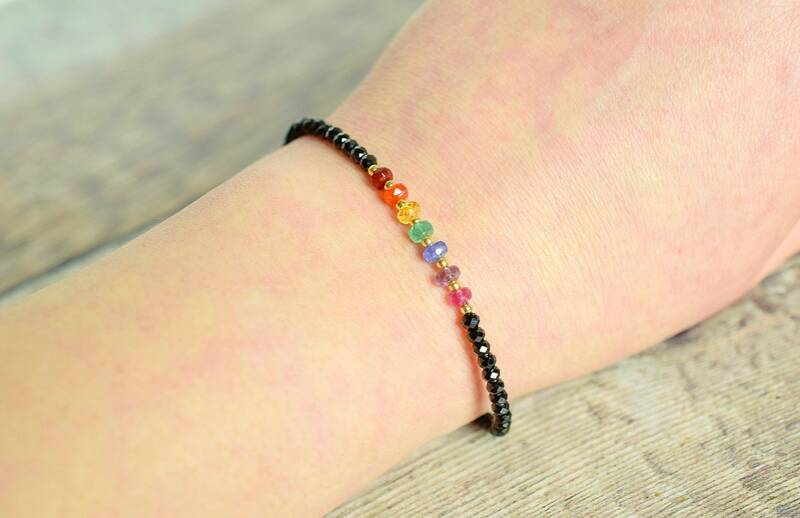 energy levels. 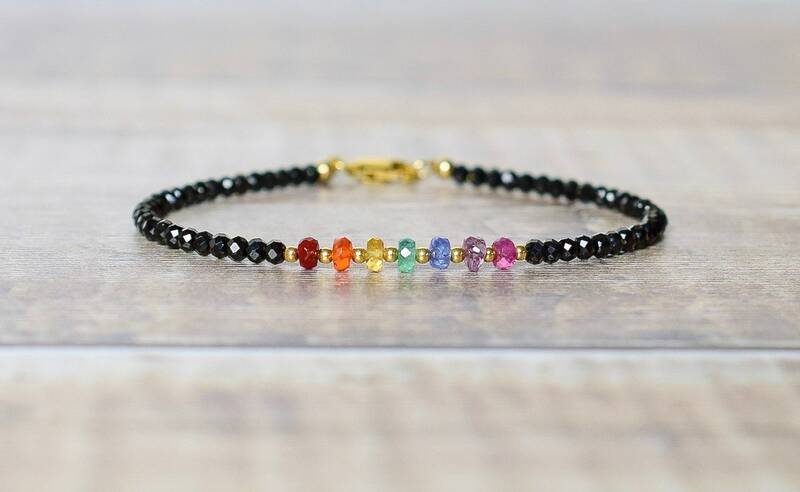 Spinel is a stone that will bring you inspiration and new hope!